Don’t search for Avril Lavigne. I’m assuming you’re not stuck in 2004 and you wouldn’t bother to do that anyway. But just in case you were thinking of searching for Avril Lavigne. Do. Not. Do. It. Searching for Lavigne sees a 14.5 percent risk. That number rises to 22 percent if you search for “Avril Lavigne free mp3”. This makes my job very difficult because typically I search for the celebrity I’m writing about to make sure my facts are correct and to see what they’ve been up to lately. But I cannot search for Avril Lavigne as I run the risk of infecting my computer. Fortunately, I doubt she’s been up to anything lately and if I make up a bunch of stuff, no one will notice, right? Not only do you not want to search for Lavigne, but you would be wise not to search for Bruno Mars, Carly Rae Jepsen, Zayn Malik and Celine Dion either. They are also celebrities who will infect your computer. Basically, don’t search for any Canadian singer. They’re all out to get you. If cybercriminals really wanted to succeed, they’d use the fascination of relevant celebrities to drive unsuspecting users to malicious websites. 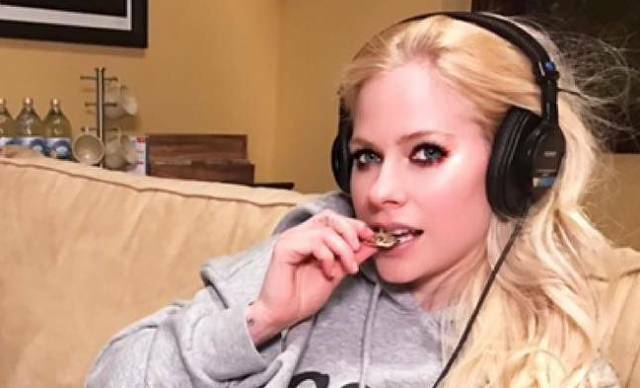 Honestly, if you’re searching for “Avril Lavigne free mp3” in 2017, you deserve whatever bad thing happens to your computer. And when you have to take your computer to Best Buy for them to clean it, I hope you have a better answer than, “I was trying to download Avril Lavigne music” when they ask you why your computer crashed.